Full Description: The property is a mid-terraced three storey office building of steel frame construction with blockwork walls under a pitched slate roof with brick clad elevations and softwood double glazed windows. 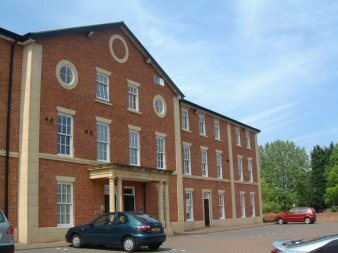 Currently available is a first-floor office suite with predominantly open plan layout and a number fully glazed partitioned offices, which could be removed or reconfigured if required. The suite benefits from suspended ceiling with Category 2 lighting, perimeter data trunking and w.c. facilities.